​Generation T lister Timothy Yu is at the helm of Hong Kong’s most innovative edtech startup. Dubbed “Uber for tutoring”, Snapask connects students with tutors for one-on-one consultations, expanding to 11 markets around the world since launching under four years ago. Things are moving fast for Snapask. But not too long ago, Yu’s ambition in life was to become a chef. So what on earth happened? “I always wanted to do something different,” says Yu with a smile, when we meet at the trendy, immaculate Snapask offices in Tsim Sha Tsui. When he returned to Hong Kong, the entrepreneurial instinct that had been awoken in France led Yu to take what is a rite of passage for many undergraduates in the city—tutoring high school kids for some extra income—and turn it into a multi-million dollar startup. We’ll let Yu tell the story from here. How did you go from cooking in dormitories to launching your own tech startup? When I came back from France I was tutoring high school students, but I found it repetitive, teaching the same classes all the time, so I recorded a video of myself teaching some math concepts and put it on Facebook. A good number of students were watching those videos, but I couldn’t ask them to pay because no one’s willing to pay for content online. Interestingly, students kept on asking me math questions on Facebook, based on the videos. I figured that could be a way to generate revenue—and that was the prototype of Snapask. Students would ask me questions on Facebook and ATM-transfer 50 bucks to get their questions answered for a month. Can you take us through some of the key milestones for Snapask since launching? We launched Snapask in late 2014 and it was like a rollercoaster ride—you go up, you go down; new people coming in, people leaving. But in 2016 we found the first person who really believed in our company. 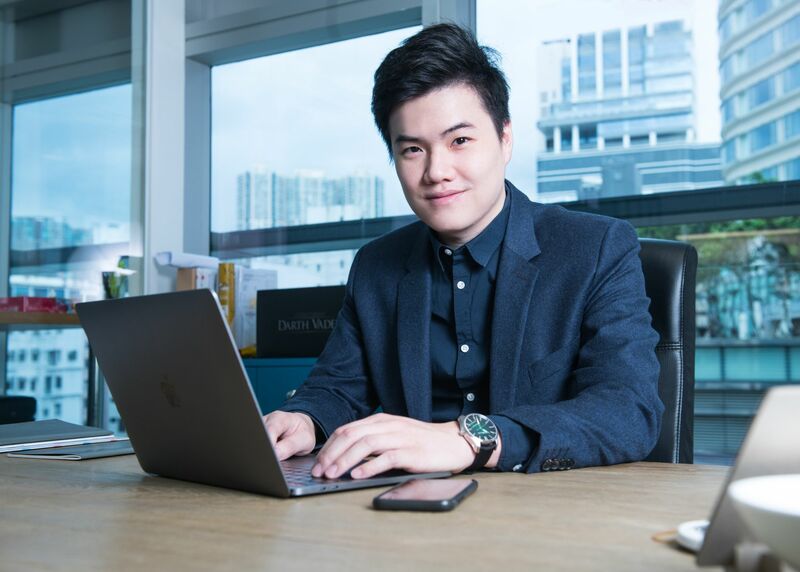 [Generation T lister] Aaron Lee came in as an angel investor, and suddenly we had the ammunition to build good product, build a team and expand to Taiwan and Singapore within the same year. But it was still a rollercoaster. After we expanded to Taiwan and Singapore, we almost went bankrupt three times. [The problem was] you think the product is so good that you invest a lot of manpower in it, and eventually it doesn't work out, revenue is not ramping up fast enough and you cannot cover your costs. "Hierarchies with senior managers and associates don’t work for new ventures"
But you recovered from that rocky start, and now you’re in a lot more markets. Yes, geographic expansion is still our main goal. In 2017, we [raised US$5 millon in] our pre-series A to support this. We’ve just added Australia and New Zealand, and in Q4 we’re launching in the UK. We now have 750,000 registered users and close to 150,000 tutors. How did you get from that early Facebook prototype to the finished product? We didn’t! The way we operate, there is never a “finished product”. It's a constantly iterating process. I would still say what we have right now is a prototype because there are still so many new things we can enhance and improve. You have a very young team. Is that important to you? It is. A lot of staff at Snapask are around 22 or 23; most of the managers are 25 or 26. The first reason for having young people is because we work in education. We need people who have just been through the system, who understand what's happening to give input on the product. But more importantly, it’s about how we operate. Hierarchies with senior managers and associates don’t work for new ventures. We have a flat hierarchy. We use a “squad” structure that’s used by companies like Spotify. There are no managers—just accountability. In the squad system, you don’t have a marketing team or a sales team; people are organised around projects, and within each squad are people who have expertise in marketing, people with expertise in sales and so on. Squads have their own accountability and their own goals to fulfil. People with ten years of experience just don’t understand this kind of structure, so we prefer people who can start fresh and just fit in. "I'm very conscious of time, and I want to make sure they are too"
Your company motto is “Never stop questioning”. Why? I think purpose is very important. In everything you do, you have to ask why. You have to know why you’re doing something to make you want to do it more. If you had an extra hour in the day, what would you do with the time? I’d read. In my typical day, I wake up at 8am, exercise and come to work. I usually leave the office at nine or 10pm. When I get home I want to read as much as I can but also make sure I get enough sleep, which usually means I don’t get to read that much. So you start your day later and work later? We don't have official office hours. If you want to come in a little late or leave early, that's up to you. As long as you get your stuff done. Some people are freshest at 6am, so they come to the office at six. I break the day down into half-hour sessions. Every half an hour I have to achieve something. For example, today’s appointment is 90 minutes—we need to do the photoshoot, the interview and I need to mingle with you guys to get to know you, for you to get to know me. These are the three missions I need to complete within the three half-hour sessions. I always have a purpose for the smallest possible periods of time. You have a staff of 70 people across eight countries. How much of your job is finding the right people? It must take up a large chunk of your time? Yes. It also takes a lot of effort to keep the right people once you’ve hired them. Top talent doesn’t just stick with a company for no reason. You have to make sure they're finding what they want in the organisation. I'm very conscious of time, and I want to make sure they are too. Which is why every three months I sit down with them to discuss what they want to achieve and how, then break that down into days and weeks. By doing this you make sure people follow through with what they define as their purpose in the company, and the top talents stay longer. That's a big part of my job. A really exciting aspect of Snapask is it empowers students who wouldn’t normally be able to access top tutors. Can you tell us more about that? We’re currently working with the Indonesian government to help offer quality education for minorities and economically disadvantaged groups. The government is working to put [smartphones] in students’ hands so they can build connections with tutors [through Snapask]. The thing about education is even if you have the best curriculum and the best school, the most important thing is still the teachers. And good teachers will always go to the best areas to work. In Indonesia, they will always go to Jakarta rather than staying in their hometown. But if you can find a way to channel this teaching talent back to the remote areas, then all students across the country can access the best teachers. That's what we want to achieve. Is that your ultimate ambition with Snapask? Yes. We want to make our personalised education technology available globally. Everyone has their favourite teacher growing up. Those teachers are often not the best because they are the most knowledgeable, it’s because they really tried to understand you when you were learning—to encourage you to do more. That’s what we’re trying to do, to create the best teacher for everyone. And that’s not just a problem in Hong Kong or Asia—it’s global.